Described on ebay as NWOBHM, except when it was once offered as christian rock/soft metal (! ), but I'm reliably informed it is in fact MOR rock vaguely comparable to Steely Dan. 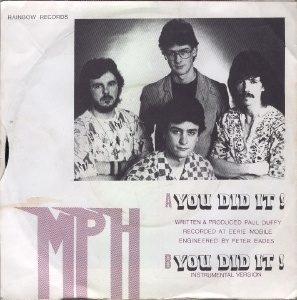 MPH was a family band formed by members of the Duffy family. The Duffy's have long been associated with Duffy's Circus in Ireland. 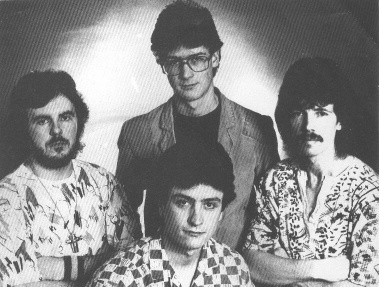 Paul Duffy (born ca 1959) joined the Miami Showband as saxophonist when he was 17, around 1976-77. 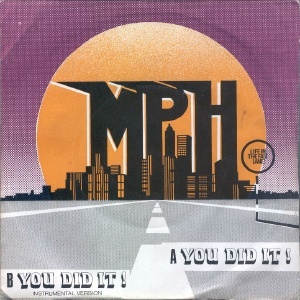 He left The Miami a few years later to form MPH. 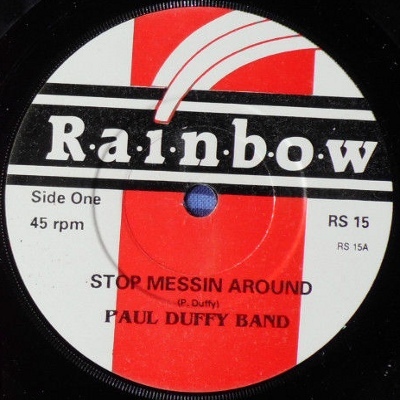 He then fronted his own Paul Duffy Band. There are several singles on Rainbow. In the late 80s he made several appearances in the National Song Contest, and appeared on ITV's New Faces. In the 90s he joined the touring band version of The Commitments, who formed in the wake of Alan Parker's 1991 film, and he he toured with them for six years. He later emigrated to the USA. 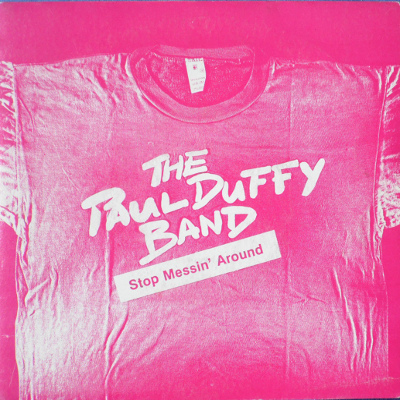 Written & produced by Paul Duffy. 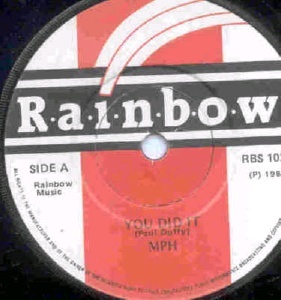 7" - Rainbow Records - RBS ??? - 198? - PS?